Mark comes up on a beach bordering an Old West town called Land’s End. 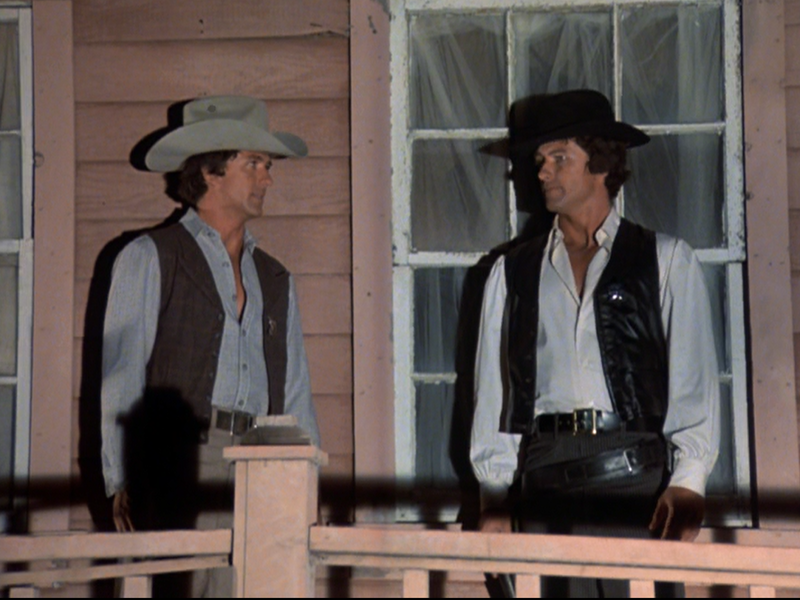 There, he befriends a family that is having difficulties local thug's with a hired gun, Billy (Patrick Duffy). Amazingly, Bill is Mark’s identical twin, except that he has cut off the webs between his fingers. Mark attempts to befriend Billy so as to learn of his origins. But his new “brother” leaves Mark in jeopardy in Land’s End, and returns to the Cetacean in his stead. There, Elizabeth (Belinda J. Montgomery) notices something strange about “Mark” almost at once. 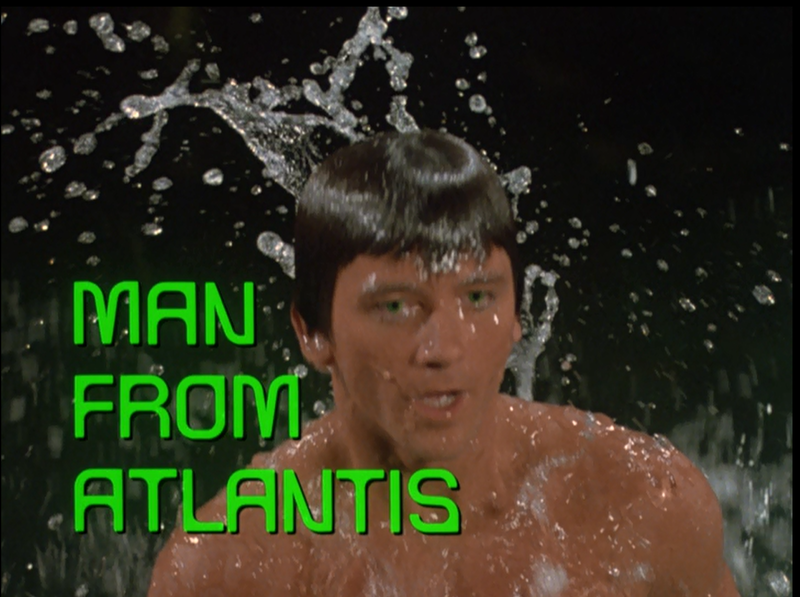 An earlier episode of Man from Atlantis (1977) -- “Giant” -- introduced the idea of undersea currents or caves leading to other worlds, other realities. Although there is no specific mention of that mechanism in “Shoot-Out at Land’s End,” one must assume that it is involved. There is no other way a Western town could exist in such isolation, in the age of space satellites. Mark clearly comes up in an “Old West” universe in this story. Also, as noted in the synopsis, the Cetacean crew reports that his signal has been "snuffed out." That sounds very much like he left this universe, and entered another, parallel one. But what makes this installment of the series so intriguing is the appearance of a “twin,” Billy. 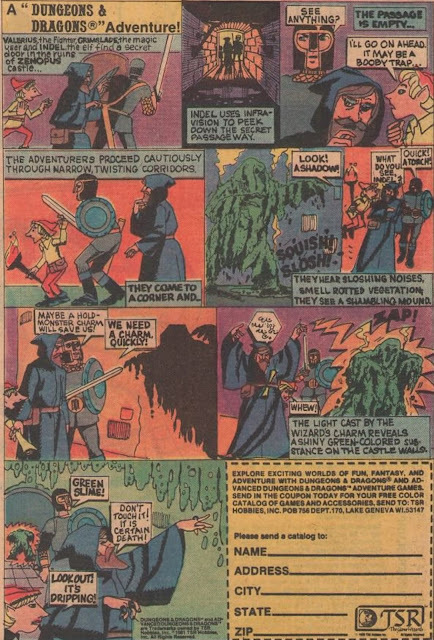 Now, evil twins have been a trope on sci-fi television since the beginning, and usually they are a cringe-worthy story device. However, in this case, the appearance of a twin at Land’s End is part of Mark’s search for his origins, or beginnings. We learn in the course of the story that Billy washed up ashore in this western world, like Mark, and also with amnesia. 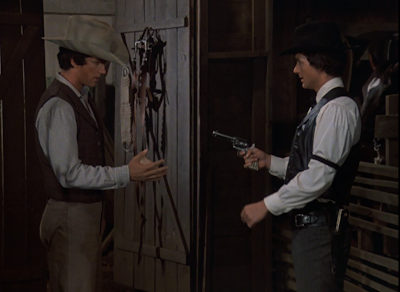 So as to minimize his differences with natives (and better handle a six-shooter), he cut off his finger webs. In close-up, at one point, we see the scars on his hand. But if you look at the story closely, it means that two identical “men from Atlantis” left their world, and arrived in other worlds. Speculating a little bit one must wonder if they are clones, or soldiers…scouts meant to open contact with civilizations in this and other worlds. I wish the series had been renewed for a second season so it could have continued to explore Mark’s origins more closely. As the series stands now, “Shoot-Out at Land’s End” is the only episode that reveals any further information about Mark’s history at all. Everything else remains a mystery. Unfortunately, Bill has no answers. 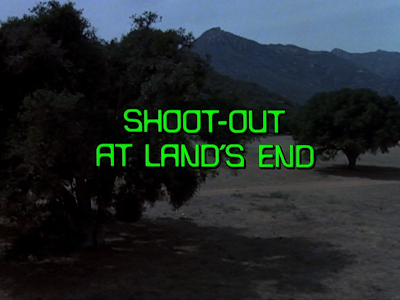 “Shoot-Out at Land’s End” thrives on a good sense of humor and on the expert deployment of split-screen composites so Mark and Billy can share the same frame. In terms of humor, there’s also an amusing scene here in which Mark learns to talk to a stubborn horse, using his knowledge of dolphin-speak to do so. 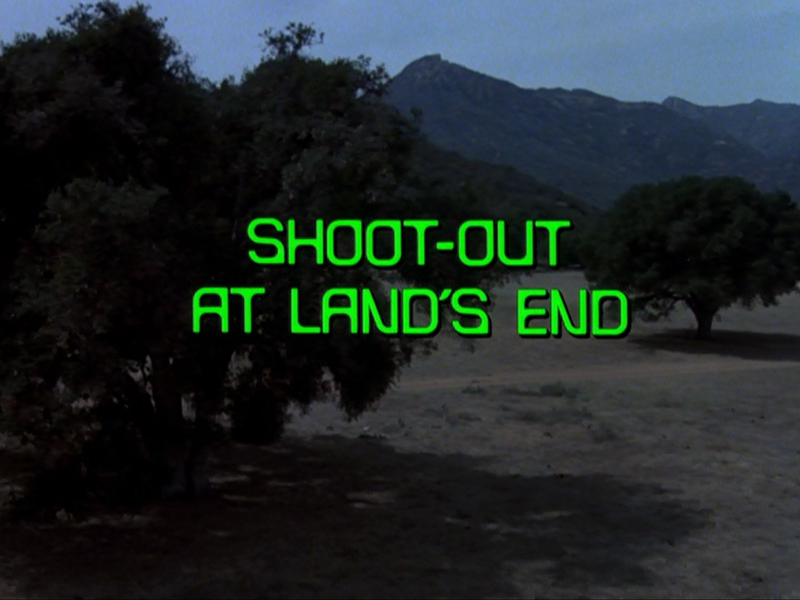 In large part, “Shoot-Out at Land’s End” plays like a clichéd Western tale, and reminds modern viewers of the large shadow the genre cast of the medium of TV, even into the mid-1970s. 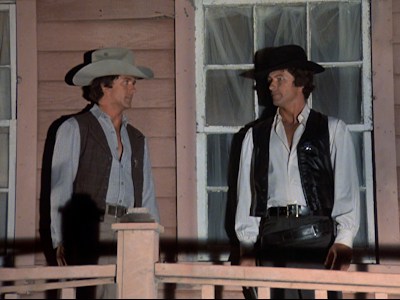 Specifically, this episode boasts some narrative similarities to Rio Bravo (1959) because it involves a corrupt man, here one played by Pernell Roberts, attempting to spring his son from the local prison. Despite such drawbacks, this still stands out as a better-than-average episode because of the breadcrumbs about Mark’s history, and because Patrick Duffy gets to play Billy as a cad; here seen cavorting with a prostitute.